Interested in becoming a Board of Directors candidate? 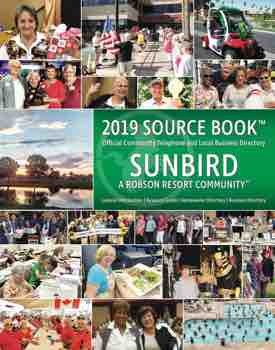 As we near the end of the year and our election time, there will be two SunBird Golf Resort Homeowner Association Board member positions open for terms of three years of service. If you are a SunBird homeowner in good standing, willing to meet at least twice monthly September through June and willing to study, review and make decisions on behalf of the community, this may be your opportunity to give back to SunBird. We all chose SunBird for our retirement years because it is such a great community and full of great residents. We come from different backgrounds and experiences. This is your opportunity to give of your time and talent to benefit our community. If you are interested in becoming a Board of Directors candidate, please complete a Board of Directors candidate form that can be picked up from the office or mailed, faxed or e-mailed upon request. Submit it along with a 200-word or less campaign statement and a picture of yourself by September 30. This is your chance to step up and give back to the community. You could be the one that makes a difference and allows SunBird to grow and prosper even more in years to come.